Chicago police have issued an alert about thieves targeting stores that sell high-end purses. 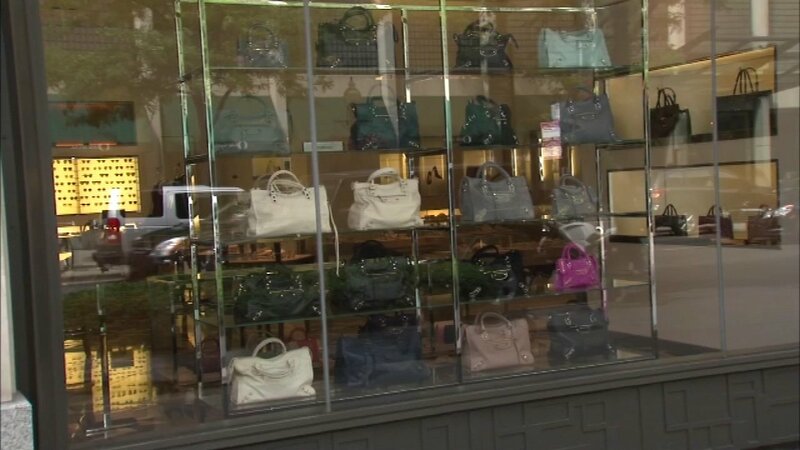 CHICAGO (WLS) -- Chicago police have issued an alert about thieves targeting stores that sell high-end purses. Thieves have hit four stores in the past two months near the Mag Mile. Robberies were reported in the first block of East Grand during the afternoon hours on June 27 and July 31 and in the 100 block of East Oak Street during the afternoon on June 30 and July 20, according to police. The thieves usually work in a group of 2 to 4 people, police said.